A little goes a long way when you support YWCA Northeast Kansas. Whether you’d like to give of your time, talent, or resources, your gift makes a lasting impact on our mission of eliminating racism and empowering women. 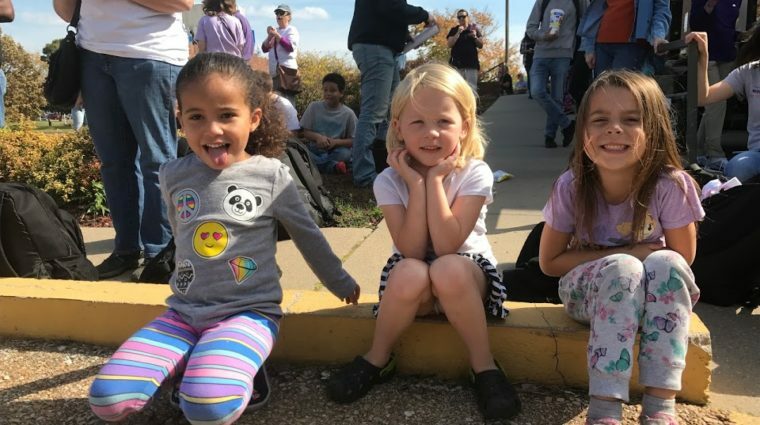 Support the critical mission of YWCA Northeast Kansas with a one-time contribution, or sustain our mission with monthly support. Make a difference in the lives of local women, children, and families by giving of your time and talent. 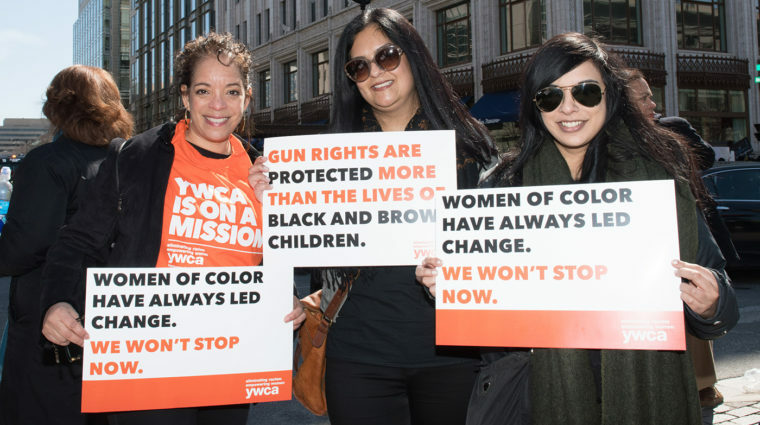 Stand for racial and social justice with YWCA Northeast Kansas. Join us on our mission of eliminating racism, empowering women and standing for social justice by becoming a voter registration volunteer helping with our nonpartisan voter engagement activities in central Topeka. Volunteers will go door to door in the neighborhood around the YWCA with a partner until voter registration closes. Then, telephoning and other activities will engage voters in the targeted areas. All shifts begin at the YWCA building 225 W. 12th and last about 3 hours which includes training and debriefing. Volunteers work in pairs to walk a small area that includes about 30 houses. Interested, but Have Some Questions? I’ve never done voter registration in a neighborhood. How will I know the answers to people’s questions? YWCA will train all volunteers on the proper forms to use, new requirements and generally make you feel comfortable doing it. Likely questions include “where do I vote?” Or, when is the election? Election information is available at www.Vote411.org if you have your phone. 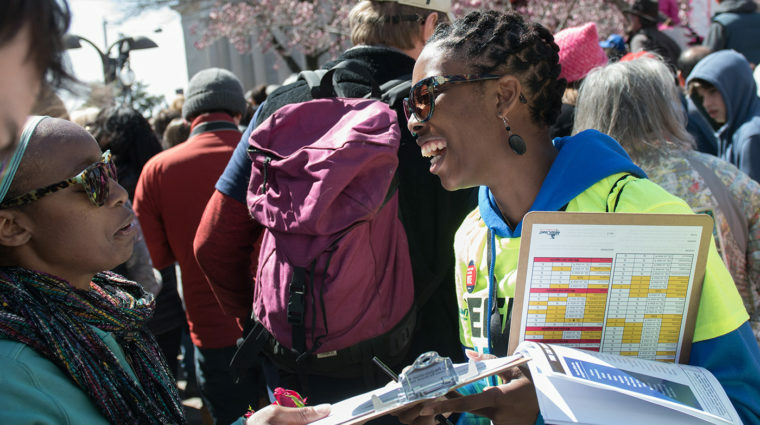 Teams will have clipboards with maps and lists of registered voters in addition to paper registration forms and forms for requesting an advance ballot. Canvassers will be asked to use their cell phones or iPads if they have them. Registering people on ww.KSVotes.org is easier than using paper applications. (Proof of Citizenship is no longer required.) . Volunteers will wear YWCA nametags. Wear comfortable shoes and bring a bottle of water and an extra pen. I don’t have a partner; can I go by myself or bring my child with me? The YWCA will pair you with someone for your shift. You will feel more comfortable with a partner until you have knocked on a lot of doors. Young children are not advisable because you need to focus on the person you are speaking with, not your child. Teenagers could be helpful in managing the data entry and other materials. What is the “adopt-a-turf” about? The YWCA will break the target precincts into manageable areas (Turfs) that can be covered by a team in about 2 hours of walking. The teams will be asked to Adoptthe-Turf—take responsibility for finishing their assigned area. Since roughly half of the people living in the designated area will not be at home the first pass, the team will go back and continue working the list until all or nearly all the homes/apartments are contacted. The goal is to contact every resident of the target area before Oct. 16th. I cannot walk that far—what else could I do to help? Lots of things! Help sort the maps and materials for canvassers; make phone calls to follow-up on advance ballots; give rides to the polls; schedule volunteers. Neighborhood Cookout at YWCA with program on voting Monday, Sept. 24th, 5:30 – 7:30. Free food, Games with prizes and candidate information. Flyer-drop Nov. 2-4 This is general voting information dropped by high schoolers on registered voters’ doors. Presentations to parents of enrolled kids in after school programs at Williams on voting, importance of, and incorporating some of the Kids Vote ideas into the after school program curriculum.